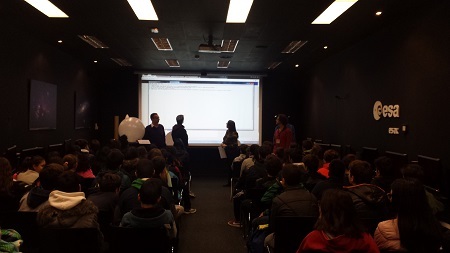 On the 29th of November, 55 students in their second year of ESO from IES Cañada Real , came together with their teachers to ESAC to be scientist for a day. The research topic selected by them was "The study of the Sun rotation"
After a warm welcome from the CESAR Team, who answered the key questions for their teachers, they started to work. For that the students were divided into two groups.